Honored with a 2004 Good Neighbor Award by the Chicago Association of Realtors. Detailed masonry skin wraps the building. 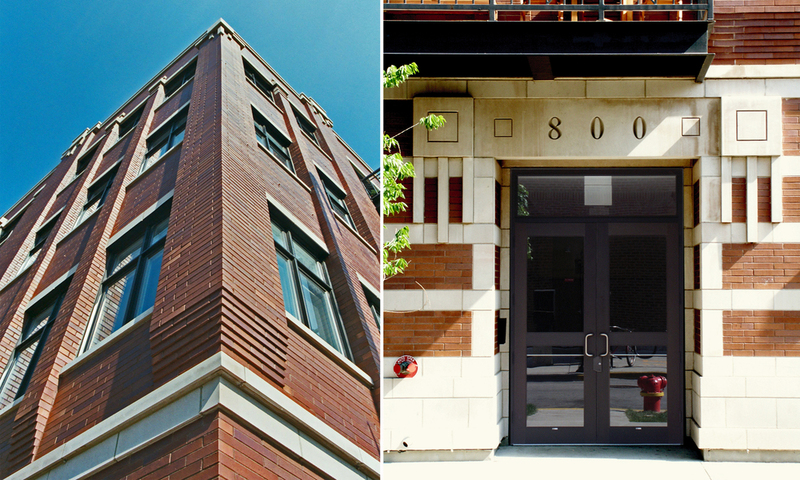 Brick and stone are used to create strong horizontal and vertical elements and add depth and character to the facade. Eight luxury condominiums cap the building and include private roof terraces that utilize green roof technology. Commercial spaces on the ground floor enhance the liveliness of the street and the neighborhood.